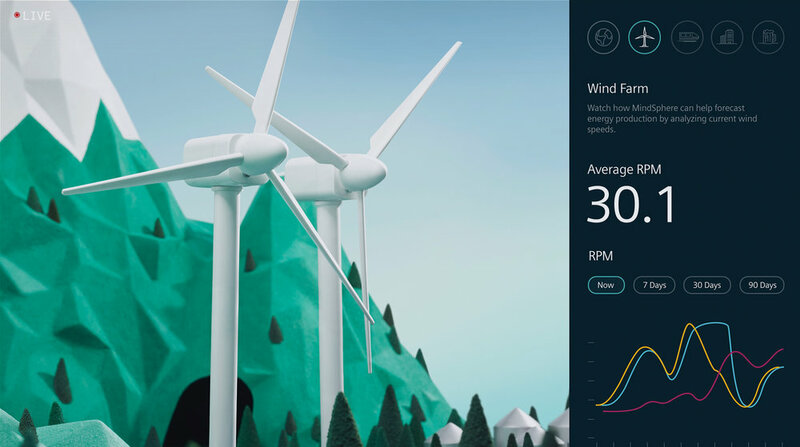 Create a demo of IoT technology via a website that reflects the data from a miniature world in a way that showcases the various used of the technology and provides developers enough information to understand the multitude of uses for the data with sample code and scenarios that reflect real life. - Create an online demonstration of a technology that has yet to roll out to the public. - Work with various restrictions and parameters around live feeds and data simulations. - Nine computer-controlled LED and incandescent lighting arrays turned night into day every four minutes, allowing us to create more robust data sets and demonstrate how MindSphere becomes more powerful over time. We-streamed our model so developers could track ever-changing data and code.